Miss Marple is a young alpaca that will be 2 years old this summer. She has been one of the farm favorites since she was born. She is one of the most social alpacas and she came out of the womb that way. She greets visitors with kisses. She was such a confident baby exploring her world. That is how I came up with her name because she investigated every piece of the barn and pasture area from the moment she could walk. Her mother, Dulcinea, was my first alpaca that I owned. I was so thrilled to get another girl and a beautiful, sweet girl with lovely rose gray fiber, and with the best personality to boot! Last summer, I came out in the morning to begin my normal chore routine and discovered Dulcie, laying on her side not looking good. I knew immediately that it was very bad. I lost my sweet and wonderful first alpaca that morning. Although Miss Marple had been weaned from her mother for some time, she was still close and back in the same pasture. She followed her mother closely. It was a shock and loss for both of us. Miss Marple latched onto her older sister right after losing her momma. She follows Twister everywhere. Although Miss Marple, still loves to greet visitors, she raises her tail in a submissive fashion and walks like a cria does when they are showing their submissive behavior. She raises her tail and hunches her body as small as she can and still walk. I thought with time, she would begin to gain her confidence back but instead, I've watched my once confident baby, become more and more insecure. Learning Emotion Code to release trapped emotions, I wondered how or if it could help Miss Marple. I went out to the pasture where they were all grazing. I didn't want to catch her or hold her unless she wanted me to. The herd saw me and came running. Miss Marple ran to me in her hunched cria way and greeted me with kisses. I mentally reached out to her and asked if I could do the energy work. The others quickly trotted away from me and Miss Marple ran to be near her big sister. I discovered many trapped emotions. Grief, defensiveness, insecurity, unsupported, terror, and panic showed up as well as a traumatic trapped emotion. I released them all observing her behavior the entire time. After the first trapped emotion was released, she cushed immediately (laying down with her legs folded under her). She had her tail raised still showing submission which was odd since I was a good 30 feet away from her. I was no where close to being able to catch her. I knew she was "hearing" me. She stood up after the first trapped emotion was released and ran again to her sister. The herd moved further away from me. I stood still and let them be where they felt most comfortable. Miss Marple turned and stared straight at me and was very nervous about what was going on. I released more of the trapped emotions and when she said she had released all she wanted or could, I slowly walked over to where the herd was standing and grazing. She ran back to me still in the cria position and gave me kisses and then cushed again right next to me. This was not her normal behavior. I kneeled down and patted her neck and gave her a kiss. She didn't stay down long and popped up again to run to her sister. This time, I was shocked when Zenyatta, another female in the herd, jumped on Miss Marple's back and started to bite at her ears and spitting at her. I was so surprised by this aggressive behavior. I immediately jumped into the mix hollering at Zenyatta to leave Miss Marple alone and pointed my finger at her face staring right into her eyes showing my leadership of the herd. It got Zenyatta's attention and she stared back at me. I knew I needed to get this situation under control quickly. I calmed Zenyatta down and focused on her. I wasn't sure if she was jealous of the attention and communication I was giving to Miss Marple or if my energy work was shifting the dynamic of the herd or if there was some other cause of this odd behavior. I mentally communicated to Zenyatta the reason for my communication with Miss Marple and then told her that she was growing to be a leader of the herd. Then I told her how it was her job and role to show Miss Marple how to be a confident girl and that was what made a true and good leader of a herd. I knew that telling her the negative of what I observed wasn't what I wanted planted in Zenyatta's brain so I repeated several times what I saw her role as and what I expected from her as a leader of the herd. She was quiet while I communicated with her and I could tell she was listening to me. She stood perfectly still taking in what I was saying. The fighting all calmed. Miss Marple was more in the cria pose then ever so I'm not sure if the energy work shifted anything in her. I had more questions of what may be causing the lack of confidence in Miss Marple. I had assumed it was all due to the death of Dulcie but after seeing Zenyatta's behavior, it could be in part of being bullied. I walked back to the house with many thoughts running through my head of what I observed. What I expected to happen was blown out of the water with the reality. What dynamics I witnessed! I now realize I made a serious mistake in this session. I need to communicate with ALL of the alpacas in the group before I begin and tell them what is about to happen and why and that they all need to be a part of it. I surprised the heck out of them and I suspect they weren't sure what the heck to do with what was happening. They aren't used to two-leggers coming out and communicationg in their way! But now that I have that good lesson under my belt, I have lots of great information on how my herd works together and how I need to approach them. What was really great was how quickly they calmed with more communication and settled back into their routine. And I saw how many could "hear" what was going on with this emotion code work. Wow! That was pretty cool seeing them all react to it even when it was just the one being worked on. That 5 minute session was a wealth of information and training for me! Time will tell how much it helped Miss Marple or if we made things worse because of Zenyatta's reaction. But now I have more information of what is going on that might be causing Miss Marple's lack of confidence. The work may be more with Zenyatta instead of Miss Marple! I was recently asked how I chose the people to invite to the launching of my two new ventures with Life Force International and Emotion Code. It was such a success and they were curious if there was any thought to my invites. The answer was a definite YES! Yes, I thought about the people I wanted there to launch my business. To me it wasn't about quantity of people attending. I had limited space for one thing. But more importantly, I wanted to be surrounded by the people I knew would be the most supportive and eager to hear what it was that I had chosen as new ventures. I had about 20 friends come to my evening event. Also attending were my mentor and coach, Francie and the Vice President of the Life Force company there as well as Pam, who introduced me to Body Balance. I had a strong team that was more knowledgeable on Body Balance there to back me up and provide answers to questions as well as set a tone of confidence. I wasn't quite there yet in feeling confident about the details of the product to answer questions accurately. I joked that night that I still felt like had my training wheels so I was so grateful to have the knowledge and experience of Francie and Alex there. Their presence was a key element to the successful launch. It has been my experience that when I have a new idea that I want others to buy into, I have been most successful when I use my "Wedgie Method." If you have a huge boulder to be moved, pushing against it with all your might, won't get that boulder to budge. To get that boulder to move, placing wedges underneath to provide leverage will eventually get that boulder to move. When I have ideas that I want others to buy into, I seek out those people that are more open to new ideas. I seek out positive personality types that are open to change and willing to try new things. Their egos aren't attached so strongly to the old method that they aren't will to try. Finding the right people to be the wedge is key. There are many different personality types. There are some of us that almost need change or we get bored so we are very open to it. It is probably a good thing there are boulders to slow me down at times so that I have to think through ideas more carefully before jumping in and going after too many things. Then there are types of people that may take more time to catch on to the vision of the idea but they have a lot of trust and faith in the person that has the idea so they are willing to give it go based solely on the fact that they trust the idea person. Then there is the next type of person that needs more evidence. They need to start seeing some of the change happening and what it it looks like. They might be able to picture it, but they really need to see it better. Those will be the second level wedges and they are the vast majority of people. So getting many of those folks to buy into it is when those boulders start to budge and move. But you need those first people that just have faith in the person to give a try and it is their spreading the word about how great an idea it is that convinces the next level to try too. The last group of folks, hate change. They aren't going to try or will try it with their feet dragging and fighting it the entire way. They will do whatever it takes to not have it happen. If you want them on board, it is going to take a lot of your time to get them to do it. When I worked as an engineer and supervisor, it was my job to get those folks to accept and do whatever the new method the change required but I found myself spending the vast majority of my time, listening to them complain, fight the change, undermine the change, sabotage things, etc. However, now that I work for myself, I can chose not to invite those types to my events! I can choose what people I want around me and what will help me be successful. Those people that came to the launching of my two new ventures are the best. They listened and were so engaged with what Body Balance has to offer and they volunteered to help me complete the requirements I needed to become certified in Emotion Code energy work. Instead of me singly trying to get all the work of getting the word out on these ventures, they are the wedge moving this business forward and spreading the word of how amazing Emotion Code works and how much better they feel now that they have been on Body Balance. I like to set myself and others up for success. And I love this Wedgie Theory and that night of the launching of my business ventures, proved how incredibly great that theory works! Thanks to all who came!!!! Emotion Code: Do We Really Store Memory In Other Parts Of Our Bodies? I am a firm believer that energy work is not just a bunch of woo. Ok, maybe it is pretty woo-woo but I don't care because it still works! Studying and working to becoming an Emotion Code Practitioner has actually made me wonder why it works more than just trusting that it works. If I understand it better from a science perspective, I can hopefully, explain it better to new customers or to someone that is teetering on wanting to believe that it is possible but not quite there yet. And, I'm just curious that way. From studying Emotion Code and other areas of energy work, it makes sense to me that our body stores our emotions and traps them into our tissues and organs because if you break us all down to the atomic level, we are all made up of basic energy units. I stopped there at understanding things and that was sufficient for a long time. But lately I've become much more curious, as I work on individuals and animals using the Emotion Code technique, I'm amazed and fascinated as we determine what age emotions become trapped in their bodies. How does that work? I keep getting asked how do I tap into someone else's energy system whether it be an animal or human from a distance or if they are just standing next to me and I'm touching their arm doing muscle testing. I don't think I can answer the distance question just yet. I don't understand quantum physics anywhere close enough to grasp that concept just yet. But as I ponder on things as I rake my alpaca poop up, I got to thinking about how memories are created. We take them for granted that we have them. But do we ever think about how the physiology of memory works? I went to Google after I was done raking to see what studies were out there that talked about that. I found a few interesting articles about how memories are stored. That was intriguing but didn't quite answer the question I was looking for. I Googled the Biochemistry of Memories and came up with some very fascinating articles and the energy work started to make further sense reading them. I also read an interesting article recently titled, Heart to Heart. It is a study of the connection of human and horses being done using electrocardiograms. They monitored the beat to beat changes in both horse and animals to measure quantitatively the bond between them. I have to admit, that many of the articles I read were beyond my comprehension but I came away with understanding some basics at least. If our memories are created by a neurostransmitter or biochemicals. These biochemicals are just energetic molecules that come together making cells. So why not have our cells have some sort of memory abilities? Yesterday, my wrist started to ache terribly like I sprained it. I didn't recall doing anything that would cause that much discomfort. I didn't feel anything tweak while I tended to my alpacas yesterday. I did do some extra herd health work so it was possible but for it to hurt the way it did, I expected it to have some cause and incident. I couldn't recall anything though. I decided to see if I had any trapped emotions regarding my wrist and came up with 2. I released them but it still ached. I asked my subconscious if there was an injury to it and I got yes. It wasn't just trapped emotions causing the pain. But at least it felt a little less painful after doing the energy work so I went off to bed for the night. As I turned off the house lights, I didn't judge my distance from a door and bashed my arm into it. In that instant, I had an immediate memory come to me from when I was a young child. I remembered stubbing and breaking a toe and crying to my dad about it. Instead of giving me a hug, in his typical teasing fashion, he gave me a light slug-bug hit to my arm. I hollered at him about why he did that. He asked me if I forgot about my toe. I didn't want to stop crying but I was laughing at the craziness of his logic and the silly grin on his face and it worked, I did forget about my toe for a bit. As I ran into that door after working on my wrist, I forgot about the pain in my wrist and rubbed my upper arm that I just bashed and laughed because of the memory. So was there a memory in my arm that got hit in that spot over 40 years ago that triggered my brain to remember the incident? Or is there just that good of a filing system in the brain decided to open that file from 40+ years ago just because I hit my shoulder? I bonk into things all the time so why not have that file open more often? Why this time did it open? Or was it because I released a trapped emotion seconds before and I repeated a similar injury to trigger the old memory? I am believing more and more that our organs and tissues carry some of those memories. One more thing I've Googled and that is "organ transplants and memory." There is a lot of interesting stories of people who have received transplants having the memory of the person that had those organs before them. Paul Pearsall wrote a book titled The Heart's Code. It talks about heart transplant patients also having part of the donor's personality and memories transplanted with the heart transplant. Fascinating cases documented in this book. After reading these cases, I suggest perhaps those trying to convince me that energy work and other organs carrying memories don't exist and doesn't happen are the ones with the logic that perhaps is the woo-woo. I've been in the alpaca industry for not quite 10 years. It has been a lot of fun along with considerable challenges which I call learning opportunities. The first few years, my learning curve mostly entailed learning about caring for the alpacas themselves and setting up my farm infrastructure. I did some marketing and I sold a few alpacas and some products I made from their fleeces. Once that was going routinely, I focused my energies in learning more about marketing and usages of the alpaca fleece. 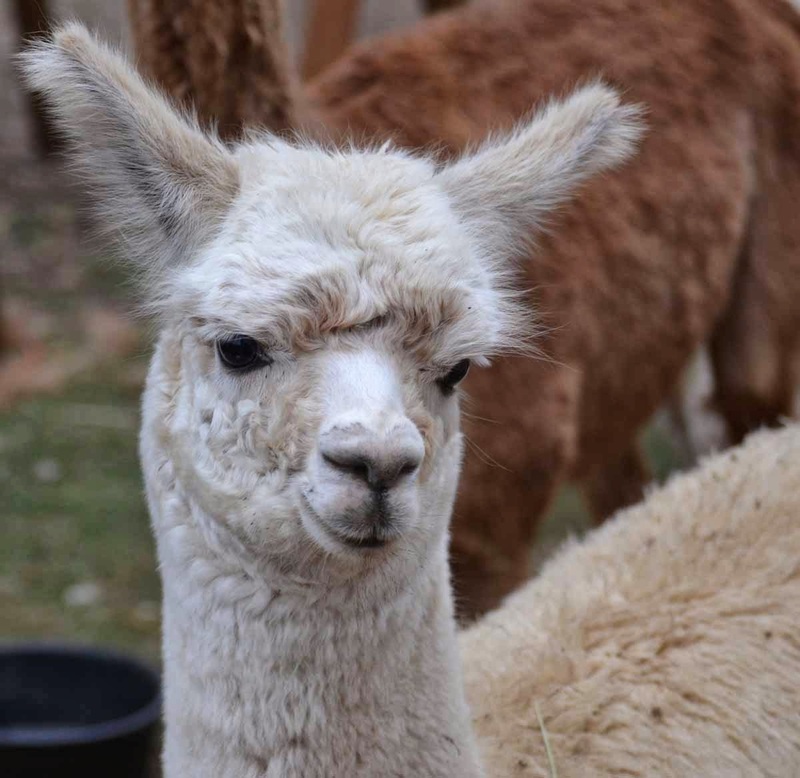 There is so much to learn on the alpaca fiber side of the industry. 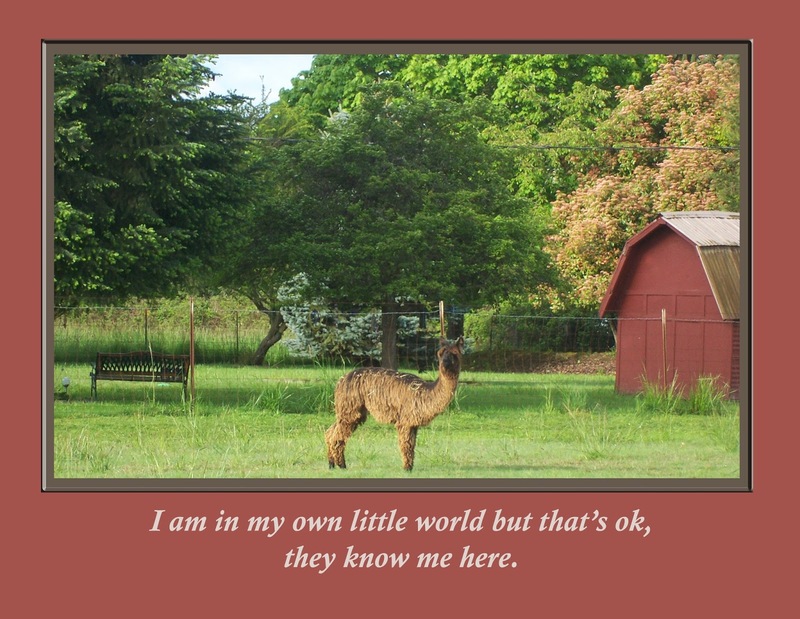 I went to some alpaca shows and did many local events to draw attention to my farm. I followed the model that you read about and most farms especially the successful farms use. I had some success but it just hasn't been enough to keep us viable. I have long known you need multiple lines of income coming in. I boarded alpacas on my farm and that brought in nice steady income and it covered the expense of feed. Nothing to sneeze at in getting that covered! Yet, that wasn't enough of an income stream coming in and all my boarders intended to eventually get their own farms going so there was a limit of how long that income was going to come in. One thing I learned as an engineer, having one line of income equates to a single point of failure. What happens if that one income stream has a hiccup? The alpaca industry has been growing considerably since I entered into it. We have shifted out of exotic breeding to a more cottage industry model. It has not been an easy transition. We have been going through that transition simultaneously to one of the worst economy down turns in recent history making it an even harder adjustment. It has been stressful to say the least to try and maintain a business going and growing during all these obstacles and challenges. I've watched as farms leave and liquidate their herds. For several years, it felt like I was getting more emails marketing alpaca farms going out of business sales than staying in business type sales. I love this business and having my farm and I want to figure out how to make it work. Instead of griping about it, although I do my fair share of that too, I try and figure out what else can be done. One thing that I see our alpaca industry needing more of is to grow more alternative markets. 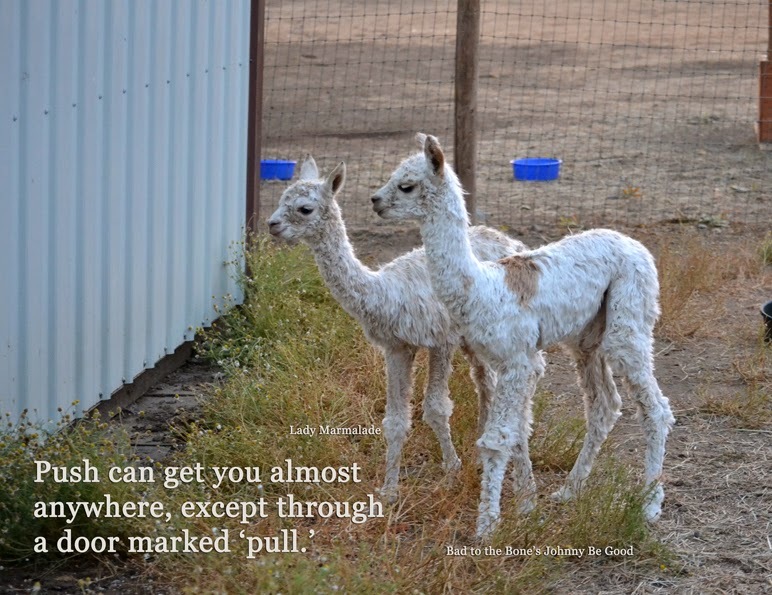 The Alpaca Owners and Breeders Association has spent a lot of time and energy building a show system and criteria for evaluating alpacas and their fleeces. It is all very good and an important foundation for us to grow from as an industry. However, it has been my experience that most that come to the shows are other farms and we wind up marketing to each other. Not a lot of outside and new people are drawn to the shows. The show system is one path of marketing, however, it cannot be the only one there is. There have been individuals that are building solid fiber businesses and a few coops out there for farms to join and help market their fleeces. Those are great models and proven successes when we had a smaller industry. But, now we have many more alpacas and farms to market and we are all trying to cram ourselves down this one small path. I feel like a salmon fighting for survival swimming up stream against not only the current but so many other salmon in the pool. I get on my soapbox complaining about how we need more business models from an industry level. But it comes back to that griping doesn't get me anywhere. If I want to have my business be a success, then it is up to me to figure out another model that will work for me. 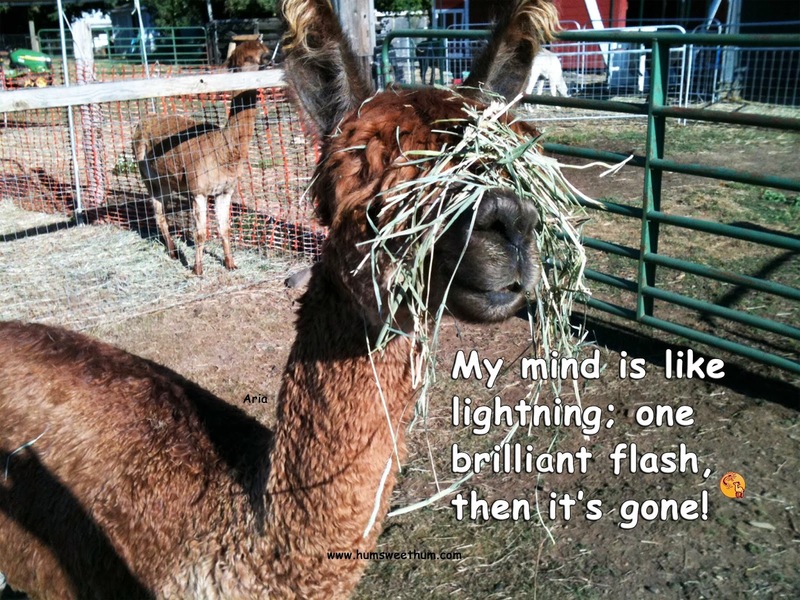 That is why I decided to branch out beyond my alpaca farm and begin my two new ventures with Life Force International and offering Energy Work as a service to animals and humans. I needed additional income streams so I don't have a single point of failure. I want something that creates a new path or model that maybe other farms can emulate and branch from themselves. Someone has to take that machete and start creating a new path. It seemed daunting to create a brand new path and I must admit, that I would get so far and get overwhelmed very quickly. Then I got to thinking, that I didn't have to invent the new path. It may be new to alpaca farming and new to me, but it didn't necessarily have to be completely a new invention. That is when I found the Life Force International company. The more I study their model and mission, the more, I see how I'd love to create a similar model for my alpaca farm. I'm not sure how it will look or work yet. I'm still learning but I love that I have a well designed and successful structure with mentoring and coaching available to me as part of their model and mission to learn from. And while I learn, I can make another income stream for my farm. One of the first mentors I spoke to through Life Force lives in and has a farm in New Zealand. Not only did I get some outstanding advice and a different perspective on some old thinking patterns, but I got to market my alpaca farm to someone I'd never have met before and in a country I'd not be so easy to market in! When I think of the countless hours and money I have spent PAYING to send out e-blasts and get my farm known and now I'm being PAID to market, I have to ask myself, "Ummm, I think I like this new model and path a whole lot better!!!!" Achieving the Life that Fits! How do we achieve what we want in life? Such an easy question but rarely an easy answer. 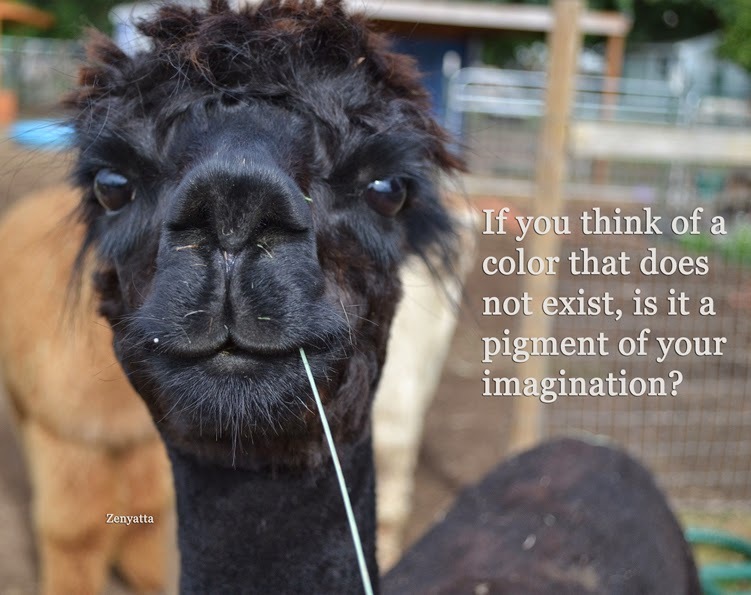 This past year or more, I've spent many hours (usually as I'm raking my alpaca poop and doing my outside chores) pondering on this very question. What I discovered I was doing for most of the time and why I wasn't getting those things I wanted was because I was thinking in the negative. I was spending more time thinking about wasn't working and what it was I did NOT want. For example, I'd would say I want my farm to be lucrative and be able to stay home to work but then I'd think about how I didn't want to go back to having a day job and most of my thinking was how much I hated the thought of going back to a day job of an 8 - 5 routine. Even though I knew that was not the correct way of thinking, I found myself still thinking that way. I believe that we attract what we most think about so here I was attracting that which I most dreaded. I did that because I did not have a full picture of what it was that I DID want. It really hit home and made me fully aware of what I was doing when I read one of the many books I picked up to help me shift my thinking patterns. One asked the simplest question. I was asked to write and picture what it was that I wanted my life to look like. I should have been able to write volumes of what it was I wanted in drawing income towards me and I came up blank. My vision had been stuck in just picturing me raising my alpacas and running my farm. I knew I needed other income streams coming in. I have tried various ones that are all within the alpaca industry norm. This exercise made me stretch my mind out of this one way thinking. I was so stuck in seeing my farm in this one model and vision. I thought, well why does it have to be only alpaca related? Can I do something else that isn't alpaca related that I really enjoy and stay home to do it? The answer was of course! Such a simple mind-shift that was so obvious to do yet I hadn't done it! My brain had created an equation that said, if I don't make my alpacas support me, then I have to go get a day job. I remember the moment when I said, "Who says?" That isn't the only way it has to be. Why can't I find something else do do that I enjoy as much or maybe even more than my alpacas that also allows me to run and grow alpaca business too. 4) I want it to be very lucrative. If it isn't lucrative, the 3 other criteria won't stand a chance of being successful. There is nothing wrong with doing good and making a very good living. This last statement is another blog or two to write about! Once I fixed in my mind those four criteria, suddenly opportunities came to me. I learned of Life Force International and Emotion Code. Life Force International has some amazing products. I started taking Body Balance after my friend Pam, owner of A Peaceful Sanctuary, in a passing conversation told me about how great the Body Balance product was and how it had helped her little dog, grandchild with a serious life issue and her mother's Alzheimers. If I just read about it as a testimonial online, I would have been not as believing but I know my friend and have met her sweet granddaughter and her cute little dog and have watched from the sidelines their coping and dealing with those health issues. So knowing from a closer view of the realness of those issues and then hearing how this product aided them, intrigued me. I decided I'd try it for myself. It was within days that I noticed I wasn't hungry throughout the day and when I did get hungry, it took hardly anything to fill me up. Food cravings dissipated. In a few weeks of taking my Body Balance, I noticed I was more energetic and some of my normal aches and pains weren't as bad or were gone! I investigated the Life Force company more and as I got to know it better, I am seeing how it fits my 4 criteria. This company is all about Pay-it- Forward. It is part of its mission. I have attracted such positive people to be learning from by being joining this company. It allows me to stay home to earn income and I'm helping people and animals doing it. The coaching and mentoring alone has been worth being a part of the company. What can be better! At almost the same time I heard about Body Balance, I stumbled upon the energy technique called Emotion Code. I could tell something was stuck in me that was preventing me from being successful and drawing to me those things I wanted for myself. Although I intuitively felt these blockages, I could not figure out how to get rid of them. As I read online about this Emotion Code work, I thought, this is what I've been looking for in helping me unblock my trapped emotions. How Bradley Nelson described trapped emotions completely fit with what I felt was holding me back. I bought the book and although I knew I could do it myself, I wanted someone else to try it on me to see how it worked with someone more experienced doing it. It is such a simple technique and yet it is powerful. I felt immediately some changes in my body. My constant neck pain I've had for ages disappeared as one of my trapped emotions was cleared. I found myself thinking more positively and hopefully. It took two sessions with the certified Emotion Code practitioner before I felt I could continue on myself. I cleared my trapped emotions and my new business ventures started to formulate and take hold. These two new added ventures to my life have been so exciting. They fit who I am and tap into where my talents lie. The two blend so well together because some have emotional blocks to getting to healthier lives and we all need the Body Balance to help clear the toxins in our bodies and feed it with the lush nutrients it contains. If you believe in Mind, Body and Spirit, then you understand that these two need to work together. I can't imagine having one without the other. I'm currently completing my certification process in Emotion Code and will be opening my shingle soon to offer this service to people and animals. And I am so very pleased to be a member of Life Force International. Helping people obtain what they want out of life is the coolest job ever!